Stories are powerful and I’ve spent a lot of time looking for stories that will give my students (and me) courage to chase the impossible. Unfortunately the donated books that come in the big brown boxes are literally from another world and the video club is at the mercy of DSTV and Nollywood, although you can usually rent one out for $20US. Learn these stories. Share them with the people who need them most. Then watch them write their own. Great book. 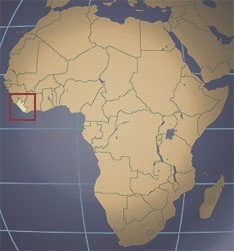 Great background on Liberia, where it has been and where it is going. Ma Ellen is the first elected female president in Africa and the first black female president in the world. I try to get all my students to read this. Wangari Maathai was the first environmentalist and the first African woman to win a Nobel Peace Prize for her work with the Green Belt movement in Kenya, credited with planting more than 40 million trees. She was also the first woman in East African to earn a Ph.D. and spent her life fighting tirelessly for freedom and democracy. It’s good alongside the documentary Taking Root: The Vision of Wangari Mathaai. One of the first female doctors in Somalia, Dr. Hawa Abdi convinced the government to let her open her own clinic, that became a hospital, that is now surrounded a camp for more than 90,000 internally displaced people. This book will teach you about courage, generosity, and the power of one person. An excellent book for students. You can watch a short video about Dr. Hawa’s work here and hear an interview with her on NPR here. When William’s family can no longer afford to keep him in school he thinks his education is over. Then he discovers a US AID library in his town and, armed with a pile of discarded science books, undertakes the unthinkable, crazy, and ultimately life-changing task of electrifying his family’s house with a windmill. His curiosity and determination to improve life for his family lead him not only back to school but to African Leadership Academy in South Africa then Dartmouth College in New Hampshire. This is the true story of Jabonkah Sackey’s journey from Bomi Hills, Liberia to the United States. Born into a poor and abusive family in the 1950s, Jabonkah recounts life in her village, her initiation into the Sande society, and her forced servitude with missionaries. Driving the Birds is a beautifully written and engaging portrait of life in rural Liberia, a story of challenge and triumph against all odds. I will definitely be using it in my gender class. The Liberian Education Trust (LET) sent this book when Central High’s new library opened in November 2012. I started reading it over mid-year break and couldn’t put it down. It is set in Nigeria during the war for Biafra’s independence. The West African setting really reminded me of Liberia and the characters’ daily struggles during the war helped me imagine what my students all survived. I blogged about this book and how deeply it effected me. Read my post Smile and Pretend to be a Fat Man. Little Liberia is a non-fiction account of how two Liberians, one an activist and Gio man from Nimba County and one a tailor and football aficionado from Sinkor, end up in New York City. Equal part depressing and eye-opening, the civil crisis shakes their lives even across the ocean. I’ve tried to push it on several students, but the reading level is pretty advanced… something to work up to but definitely worth the effort. This is another book that found its way to me through LET and the school library. A Girl Named Disaster follows the long journey of a village girl, fleeing a forced marriage and searching for her long lost-father. Although it is set in central/south Africa it gives good insight into village life and the hardships of life for children on this side. It’s a real ‘girl power’ book and I’ve tried to get it into the hands of some of my students. So far they love it. Coming to Liberia? I read this the week before I left America and it really set the tone for my service. It gives an accurate picture of Peace Corps service in West Africa. “You cannot be what you cannot see.” All of these movies are appropriate to share with students and colleagues. The story of the Liberia’s WIPNET, led by Leymah Gbowee, and how the women of a country stood up to say, “Enough!” My gender class clapped uproariously when I showed it at Cutington. What happens when a man admits to being responsible for the deaths of “no less than 20,000 people” then… asks for forgiveness? Yes, it’s a true story. Some of my students live near him in Monrovia. A school in Senegal helps match students with elite prep schools in the US to chase dreams of NCAA basketball scholarships and a shot at the NBA. Basketball as a tool to achieve education and lift a country. The story of Wangari Mathaai, mother of Kenya’s Green Belt Movement, first female PhD in East Africa, champion of women’s rights, and winner of the Nobel Peace Prize. The true story of an old man who fought for freedom in South Africa, then fought for the right to an education. He changes more lives than just his own. Want to change the world? Educate a girl. Girl Rising tells the stories of girls from around the world, including several from Africa, who have fought for the right to go to school. Delpit is an extremely accessible author and this is an extremely important book for anyone coming to teach in Liberia. She talks openly about teaching and evaluating students who are from a different background, whether that’s racial, religious, or socio-economic. Just because things make us uncomfortable doesn’t mean we can avoid talking about them. Thank you, Lisa. I had this sent to me shortly after it came out and I read it within a week. Delpit builds on the arguments she started in Other People’s Children, focusing this time on math education. If you are coming to teach math in Liberia, I highly recommend you read this book. Multiplication is not, in fact, for white people. Never been a teacher? This is the book you need. I read it right after I finished my first year and it turned my classroom on its head. In one semester this year I have covered the same amount of material I covered during *all* of last year and my students are doing better. Standing in front of a hundred students can have you screaming or cheering. This book could make all the difference. Tough makes that case that IQ has less to do with student success than more malleable traits like tenacity and grit. Read my thoughts about it in my post Counting Character.